The marketing campaign for the recent film About Schmidt made a fairly melancholic study of an older man&#146;s slow realization of his many small failures in life look like a knockabout feel-good comedy. Scenes which in context formed part of an intimate psychological and emotional character study were arranged in the trailer as if they were sock-it-to-em punchlines. A similar fate has befallen Morris Panych&#146;s Auntie & Me, a retitled production of his 1990s play Vigil. Arriving in Dublin after a run in London&#146;s West End, it is described in the advertising as a "smash hit comedy," bearing endorsements from British newspapers testifying to its hilarity. 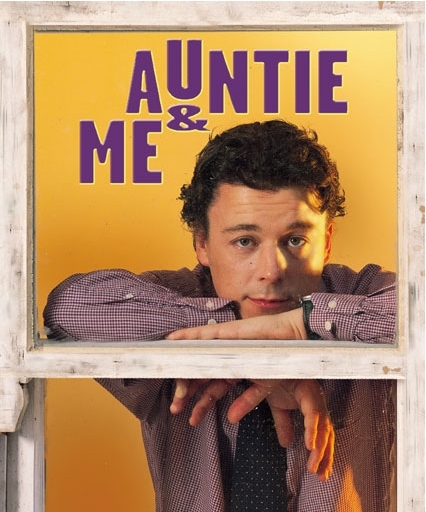 Auntie & Me is a two-hander featuring a misanthropic loner who has come to visit his Aunt, who is supposedly at death&#146;s door. As he rants and raves about the miseries of his upbringing in which the elderly lady played too small a part for his taste, she lies quietly in her bed, never speaking, always observing and responding to his thoughts with small gestures and facial expressions. A year goes by during which the woman seems to be getting better. The man becomes increasingly frustrated, and moves from making funeral plans to helpful suggestions for ways to speed up the process of her demise, including electrocution, death by bludgeoning, and poisoned butterscotch pudding. Yes there are humorous scenes in this play and yes the overall trajectory is towards black comedy. The play ultimately reveals the tender and strong connections between two lonely people, and provides something of a redemption for our misanthrope before its touching, ambiguous finale. It has both heart and intellect behind it, and there is much about what Panych has written that offers itself for serious consideration. Director Anna Mackmin has been directing this production for some time, which is surprising given how little faith she exhibits in the text. In keeping with the up-beat marketing, Mackmin directs at a breakneck pace, propelling every scene along with lightning delivery from Risteard Cooper in the central role. Cooper keeps babbling at such high speed that there is precious little space for the audience to shift their eyes to Anna Manahan (Sive) on her side of the stage. It might as well be a monologue for all the sense of connection generated between the two actors, regardless of what Panych is trying to do with the subtle interplay of mood and non-verbal communication in the script. The play is punctuated by fade-downs between scenes. With some of the scenes lasting only a few minutes, there are two potential effects that this device could have. If there had been a stylistically consistent sense of empty space between bouts of dialogue, this would have given the audience a place to explore the distances between the characters. It would have given time to watch Manahan more carefully and study her reactions, possibly adding up to an aesthetic in which silence is as eloquent as a stream of world-weary bon mots. The other effect is the one which Macmkin has employed, which is that the sudden darkness reinforces the verbal punchlines. They give the audience time to laugh before the lights come up again and the assault is renewed. Though there are some moments of quiet contemplation, they do not last long, and then all eyes are on Cooper as he careens through the dialogue. There are enough laughs in Auntie & Me to service the summer crowds at which its marketing is most firmly aimed. Cooper is one of the Irish stage&#146;s most prominent light leads at the moment, and he does his usual job. Manahan is given the rather thankless role of reacting in a vacuum though, and it takes some effort to appreciate what she is trying to do. On the superficial level at which it is presented, the production delivers. But there are glimpses of something much more powerful beneath the shallow direction, and the original title suggests it. Vigil is so much more evocative of the ambiguities suggested by this story of two people locked in a long, lonely watch over one another. Unfortunately, Auntie & Me might as well be &#145;Me&#146; for all the space it provides for thematic development and involved characterization.